This home is predominantly occupied by the owners during the winter months, which they spend skiing at nearby Big Sky Resort. 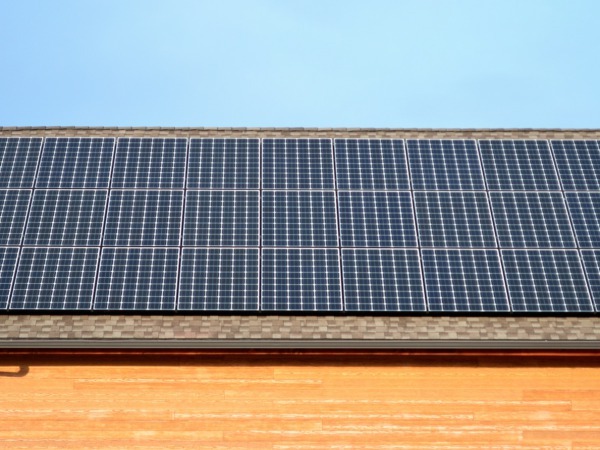 Thanks to a 12-month billing cycle written into NorthWestern Energy's terms and conditions for net-metering, in the winter the owners are able to utilize the energy credits that the system banks during the heavy sun-hour months of summer. Around the time they pursued this project, they were also integrating electric heat-mats in their bathroom floors to supplement the primary heating system of the house. OnSite Energy assisted the owner in estimating the electric consumption of these heating elements, and then accounted for this extra load during the solar system sizing process. The result was a home with a reinforced heating system that consumes zero fossil fuels. Zeroing-out the homeowner's electric bill was the goal of the project, but an acute attention to the system's aesthetics on the house is always important. This included assessment of module type, quantity, and the electrical distribution from the array to the inverter, which is located inside the garage. Utilizing high-efficiency solar modules from LG Electronics and a 97% efficient transformerless inverter from SMA America, we were able to hit the established electrical production target while keeping the solar array consolidated on the single roof space over the garage. 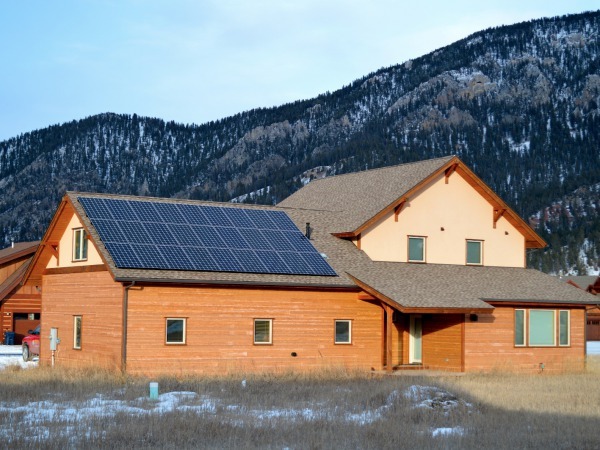 Cole Project Featured in the SMA Solar Spotlight! 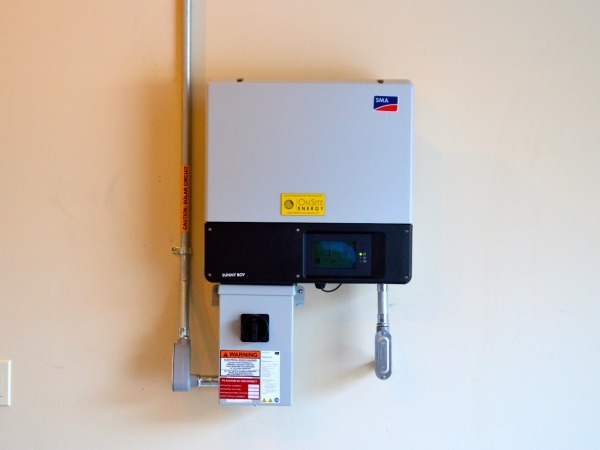 During the design process, we decided that SMA America's Sunny Boy 7700TL-US inverter was the best fit for the job. 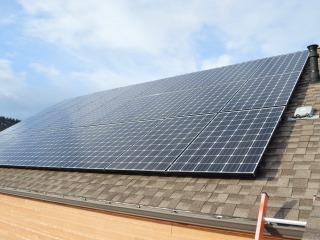 Soon after project completion, SMA chose this system to be profiled in their SMA Solar Spotlight series! The result was a clean, practical installation which was easy to tie into the home's electrical service and required the least amount of installation labor possible. Despite adverse weather conditions in December at an elevation of 7000 feet, our solar installers and electricians completed the installation in just two and a half days, and the system was operational before the new year in order for the customer to claim their 30% federal tax credit on the system just a couple of months later. Another OnSite project executed on-time and in good style! Soaking up that Big Sky sun!